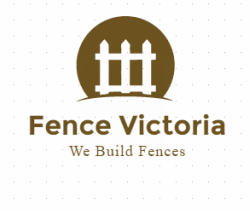 Living in Victoria you have probably experienced an issue with deers eating your garden and causing issues with your landscaping. I use a continuous piece of line tying the end to the lower part of the first post, wrapping it 2-3 times around each post after that. When I get to the last post, I simply tie it and run it up the post, wrap it a few times and go back around. Repeat until all strands are finished. I recommend the bottom strand to be about 12-18" from the ground to enable the grass to be trimmed with a string trimmer without getting tangled. As for effectiveness, my neighbor insists on using electric fence. I have no issues with deer getting into my garden while he usually has 4 or 5 in his garden every night. I ran into the same results when I tried the electric fence. As they can see the wire, they simply jump over it. If you have any questions please feel free to contact me and thank you for reading!